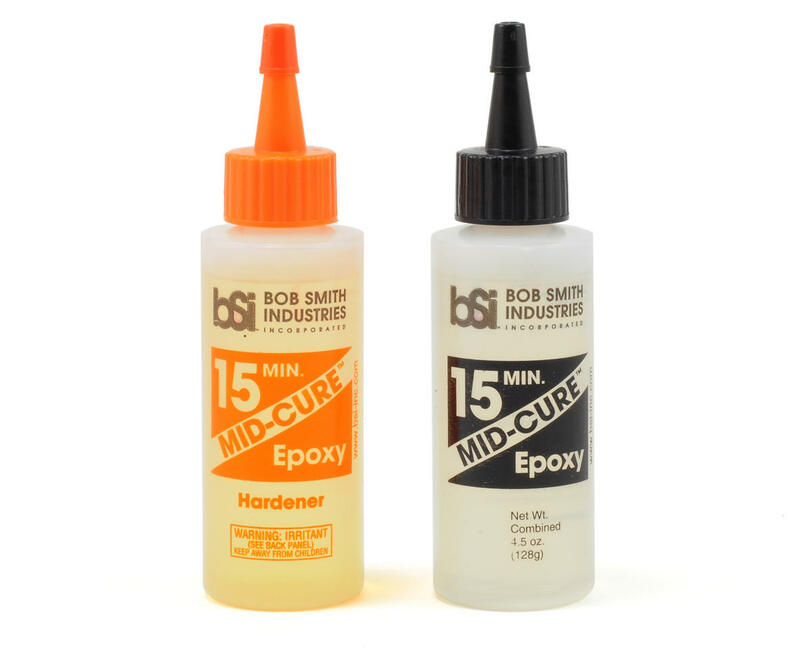 This is a four and a half ounce package of Bob Smith Industries MID-CURE™ 15 Minute Epoxy. 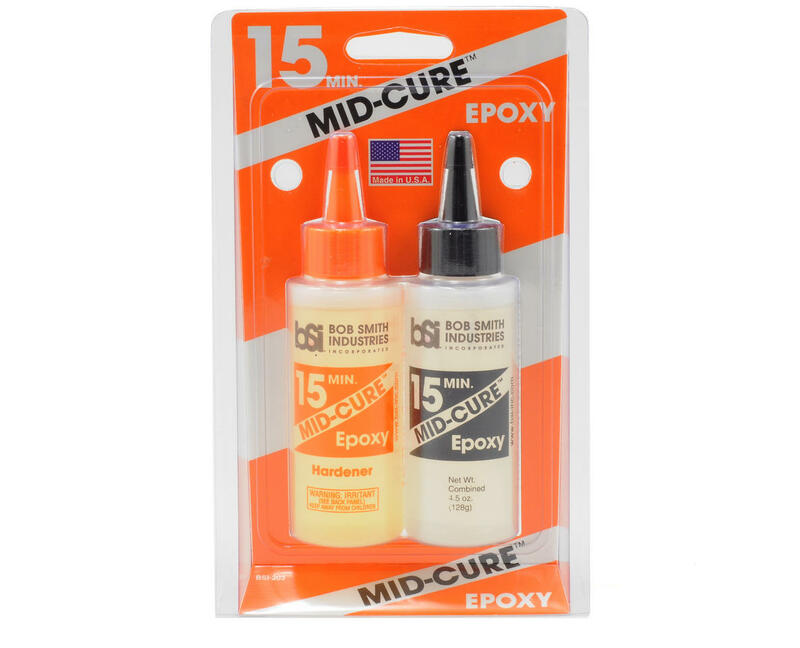 MID-CURE™ 15 Minute epoxy is used in larger areas where more working time is needed. It is more water resistant and can be used as a substitute for QUIK-CURE™ in most applications. MID-CURE™ is BSI's most flexible epoxy and is ideal for gluing to fiberglass surfaces. Allow 45 minutes before handling parts and 2 hours for full strength.